Resopal retrieves two more smoldering remix cuts on coloured vinyl. 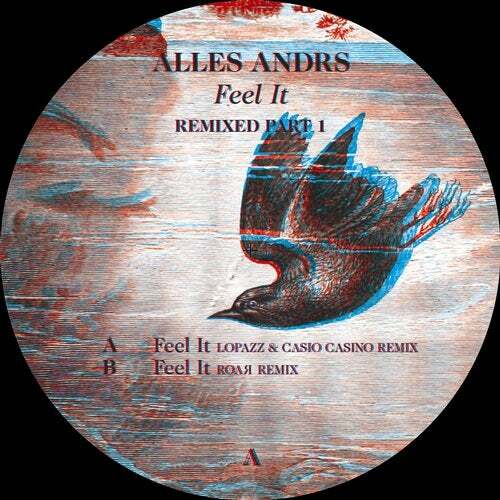 Safe to say that both of them - the A Side by Heidelberg's Casio Casino (aka Steffen Neuert of Bergheim 34 ) together with LOPAZZ - and the stunning B-Side by our Marseille connection ROAR - are absolute stompers. What we have here are two finely crafted remix versions of the original that seduce the dance floor in totally different ways. Both contain perfectly structured arrangements that creep up on you with the stealth of a ninja, making them a real pleasure to mix with. The Heidelberg guys show a minimal disco hybrid version of the original. From the moment the bassline emerges from a dense thicket of white noise the pair make their intentions clear. With expertly-crafted sequences punctuated by dramatic crescendos and distinctive mood changes their re-work is a melting pot of styles and influences that somehow manage to coexist, creating a rich montage of sounds and textures. On the B - french duo ROAR deliver hallucinogenic, long, patient grooves followed by some fantastically understated 'sonic tweaking' which gives the track a real kick without ever losing that empty, laid back vibe.Played and supported by Luciano, DJ T, Mandy, Lopazz, President Bongo.